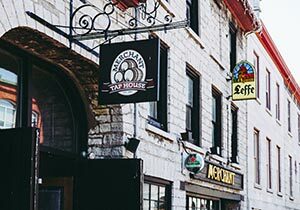 Located in downtown Kingston, The Merchant Tap House is situated just steps away from the St. Lawrence River. Our outdoor patio is one of the largest among all downtown Kingston restaurants. It offers scenic views in a relaxed atmosphere perfect for enjoying refreshing drinks and delicious food. Our Kingston bar is set in a historic building that was constructed nearly 200 years ago. 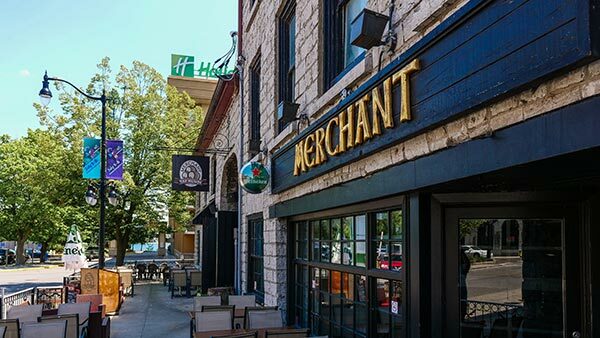 With live music weekly, daily specials and a historic charm, The Merchant Tap House is the perfect spot for a night out with friends or a casual date with that special someone. Come find out why we’re one of Kingston’s favourite restaurants. 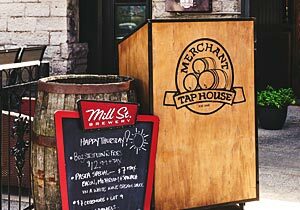 The Merchant Tap House features live music every Thursday, Friday & Saturday night. Enjoy a night out listening to some of the best live music offered by any Kingston bar. Occasionally, we have other weeknight shows so make sure to follow us and stay informed. Check out our calendar and see who is rocking the stage next! We have one of the largest selections for draft beer of any bars in Kingston. With several domestic, premium, import and craft beers available, we offer something for everyone to enjoy. Have your favourite beer or discover a new local craft brewer! From local favourites to daily specials our kitchen is always producing mouth watering dishes to impress the palette. Our special events are like no other in town! Check out our events page to see who we have performing next! Don't forget to book ahead as our live music nights are sure to fill up quickly. 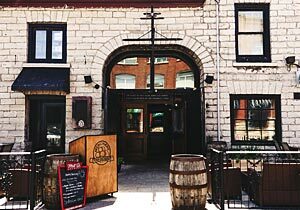 Located on downtown Kingston's waterfront, the Merchant Tap House is set in a historic building from 1836.